With my new bicycle, I have been exploring life in the ‘Rai on my days off. 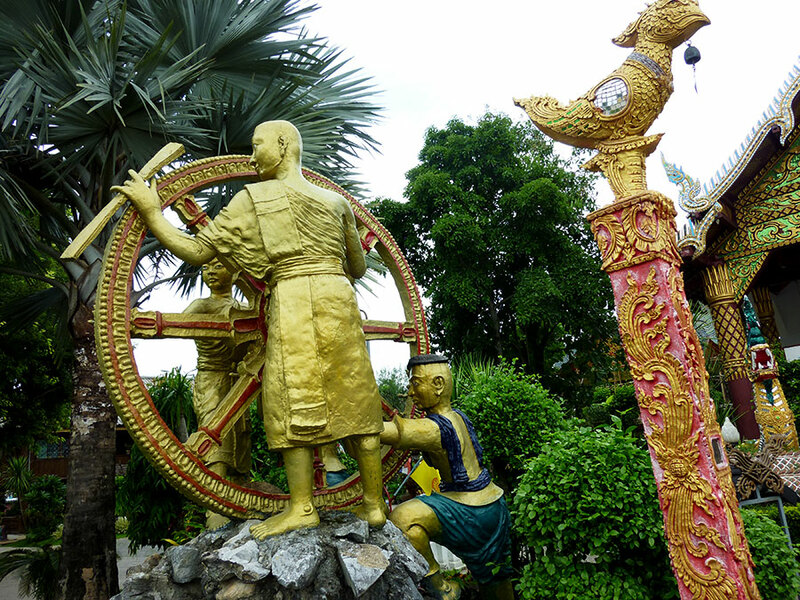 I’ve also never seen a wheel sculpture before, yet the image is common in Thai astrology. Loved the body and tail being so long on this naga, so I wanted to show more of it. 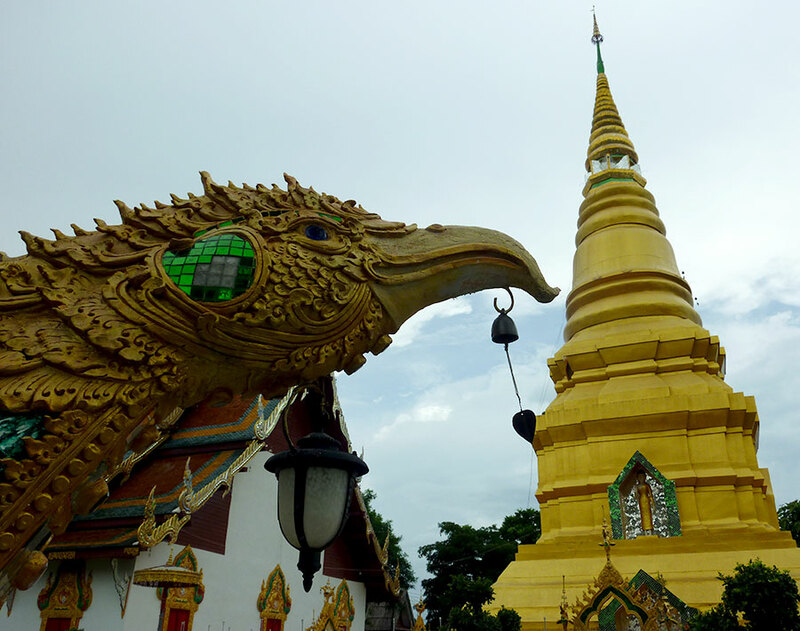 Visiting temples in Thailand are a 360° experience…details on the roof. 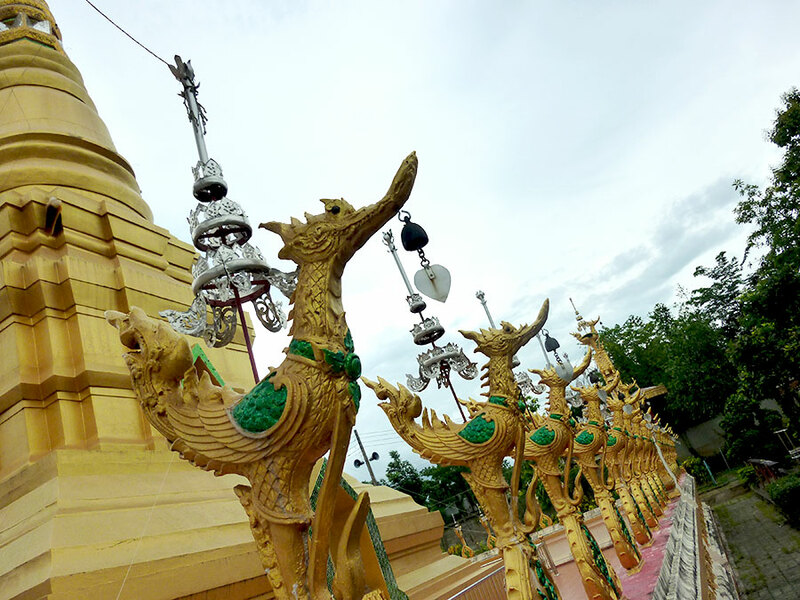 I liked these bird-duck creatures around the chedi. You could say there was a bit of a bird theme there. 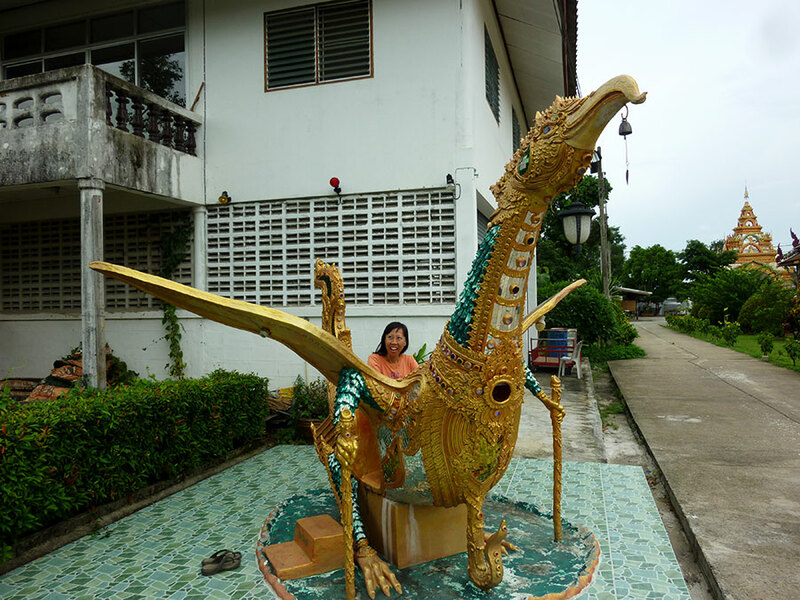 I believe this mythical bird is a take on the garuda or ครุฑ “krut”. 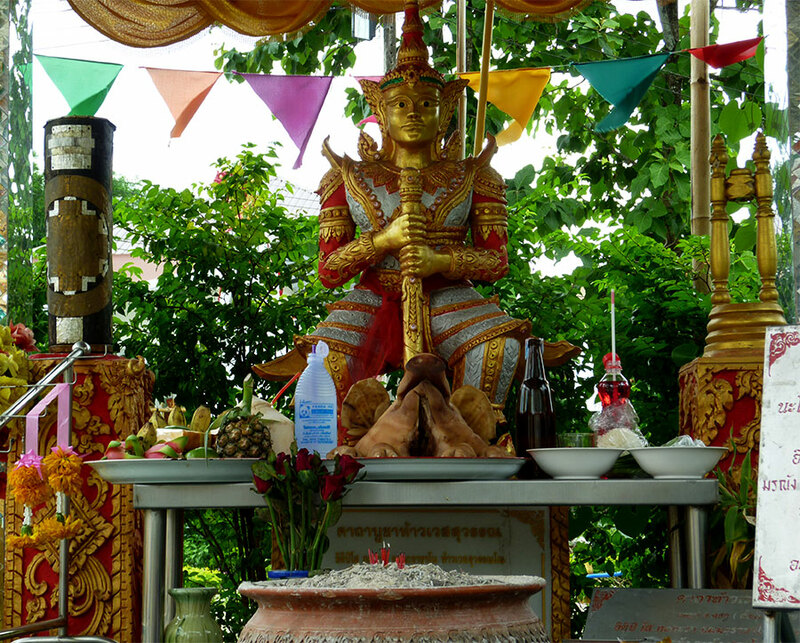 I don’t know why, but I was surprised this temple wasn’t on the the wiki or wiki-travel list for Chiang Rai. 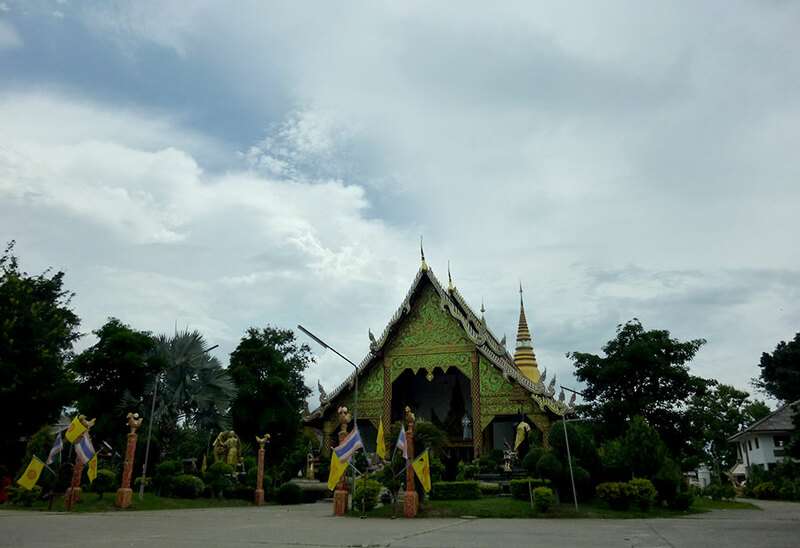 Now, I do realize there are A LOT of temples here and they can’t all possibly listed – it’s just sometimes I feel like Thailand is so well-traveled and trodden, it was nice to see that there are still little gems out there to be discovered. I mean, really, where else have you seen this climb-aboard flying bird? 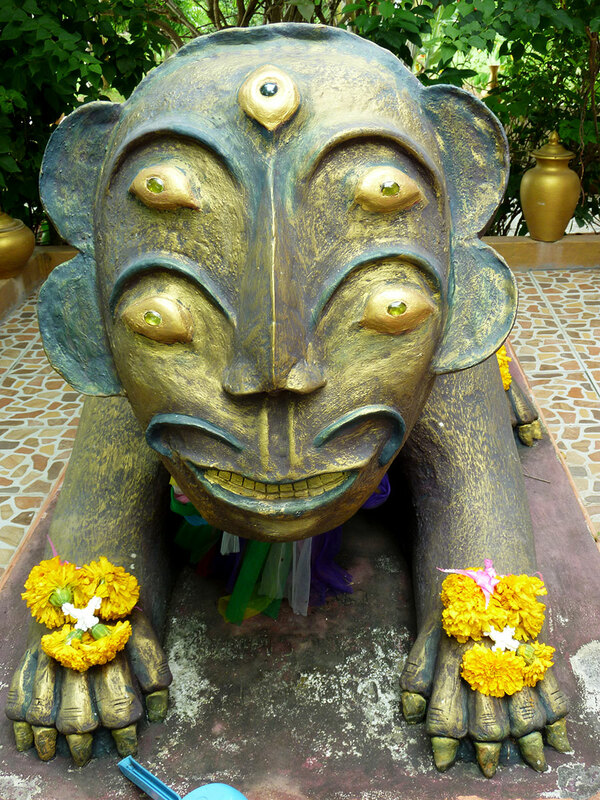 Previous Post How has Thailand changed you? 😛 Thanks. It’s a photoshop job courtesy of http://artofericwayne.com/ Once we saw the bird, I asked him if he could do it – just to be silly, and he said, of course! 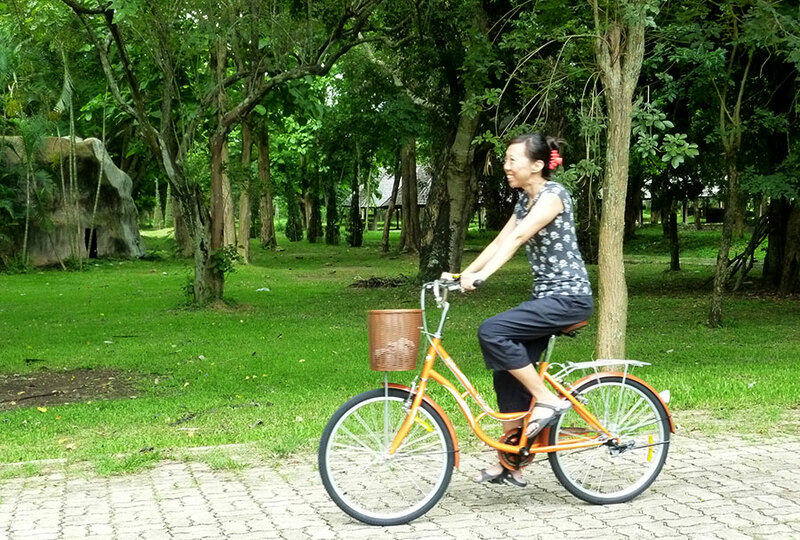 Riding a bicycle is such a whimsical feeling. I’d recommended it. Give it another try! 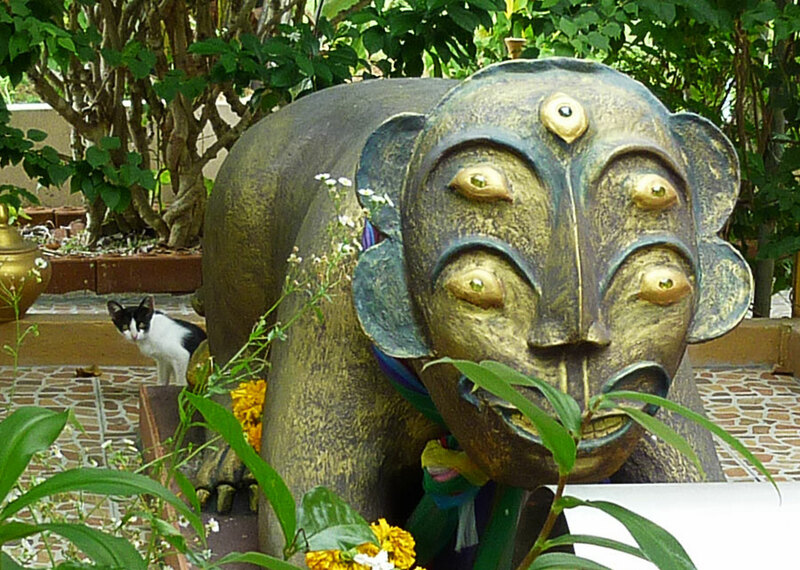 Your enchanting e-mail pictures and stories are delicious invitations to get off my behind and get to Thailand. If I see enough of them, maybe I will actually do that. Until then I look forward to seeing more of Thailand through your eyes. Thanks. Fantastic! 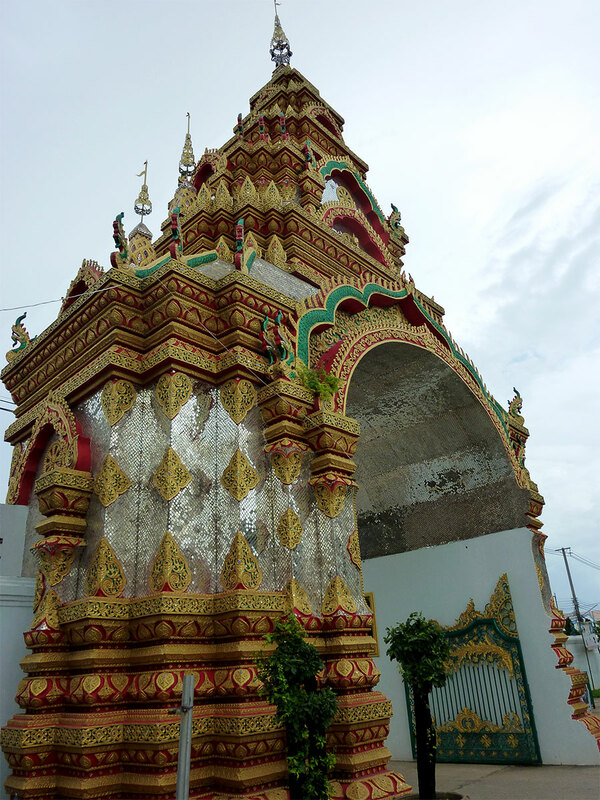 Similar to Taiwanese temple architecture, but different motifs. Still amazing. Love your new bike! I loved that photoshopped finale shot. 🙂 And love your new bike. 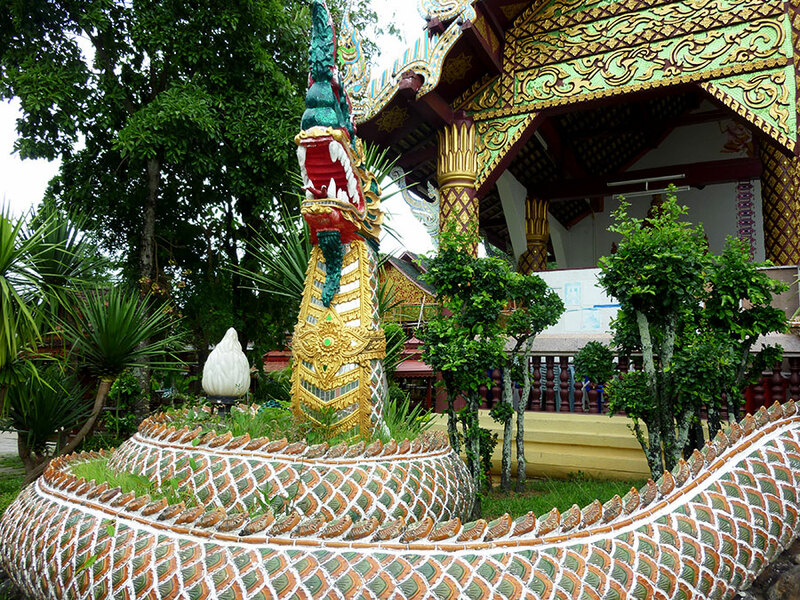 Incredible temple detail and artistry. Thanks. I like riding my bicycle around to do errands or go to a restaurant. We live in a nice area for that. And glad you enjoyed the photoshop! Hahahaha. 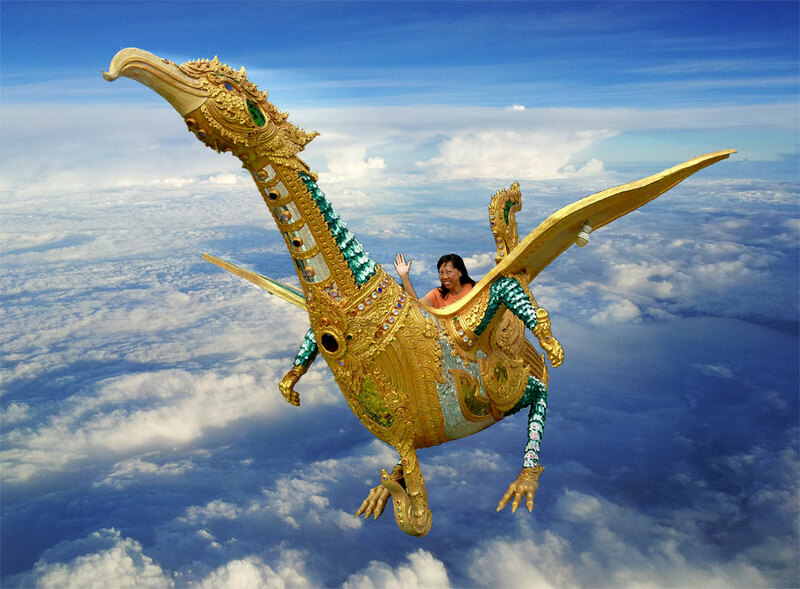 It’s not everyday you see a big gold bird to climb into! Beautiful tour, Lani! 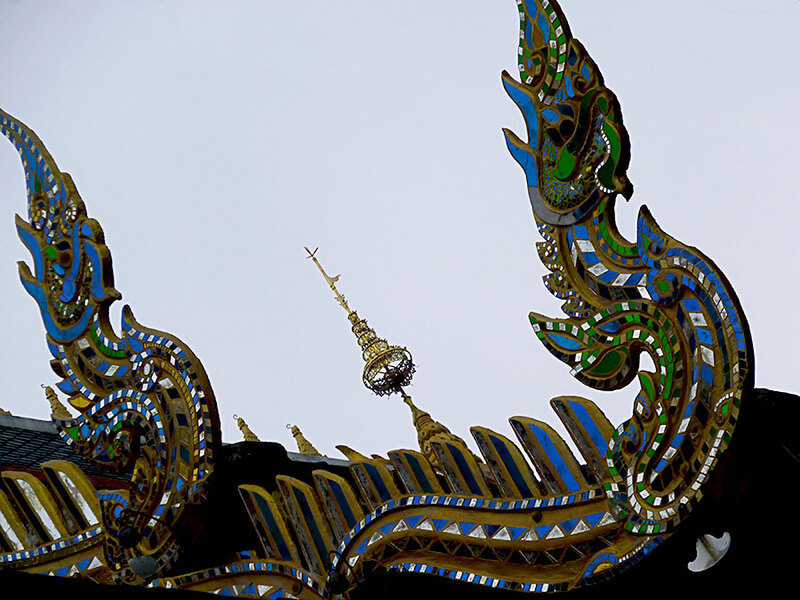 I love the Thai design, very beautiful and exotic!